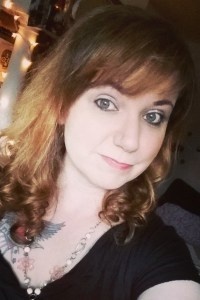 Megan Morgan is an urban fantasy, romance, and erotica author from Cleveland, Ohio—a bartender by day and purveyor of things that go bump at night. She’s a member of the RWA and trying to turn writing into her day job, so she can be on the other side of the bar for a change. Taylor Middleton, a singer striving for her big break, and her boyfriend Malcolm Darling, a mover and shaker in the music business, have decided to call it quits. But before they break up, the two decide to spend one last night in Chicago, the city where they once shared a passionate, romantic weekend, in hopes of preserving some good memories. Chef Matt Fattore lives a clean and lawful life—so he doesn't expect to meet the woman of his wet dreams when she arrests him. When Lt. Caylee Benton of the Cleveland PD mistakes him for a wanted burglar, Matt finds out fantasies sometimes land right in your lap—and frisk you. He's about to spend the wildest 24 hours of his life, and if he’s lucky, he’ll be in handcuffs by the end of the night.